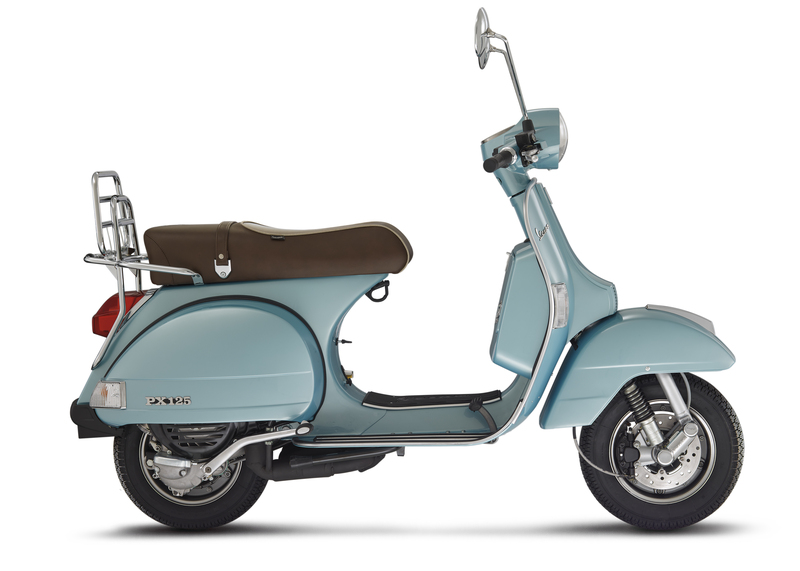 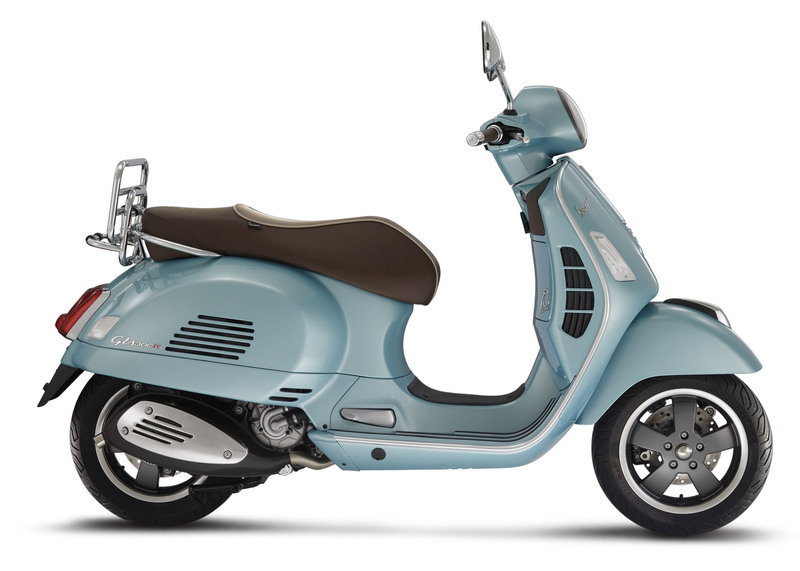 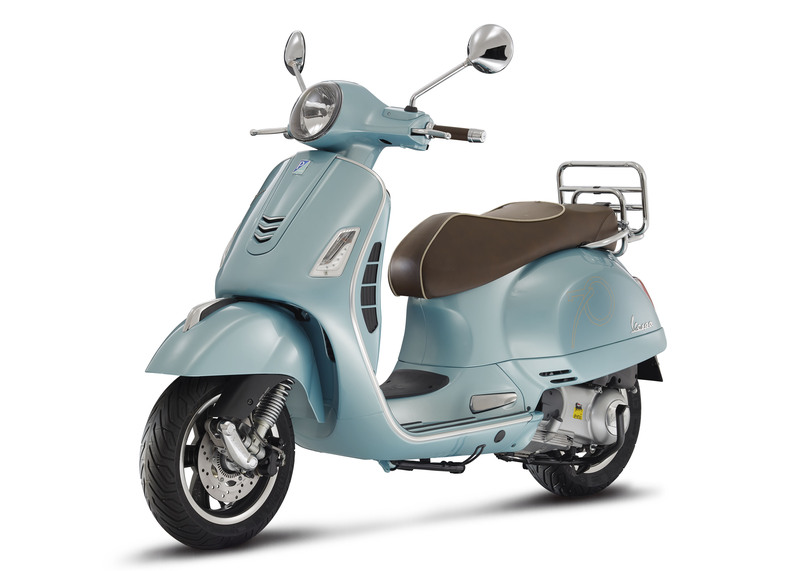 To celebrate 70 years of Vespa, for 2016 the company is offering the Primavera, GTS and PX in an exclusive color scheme: the Azzurro 70. 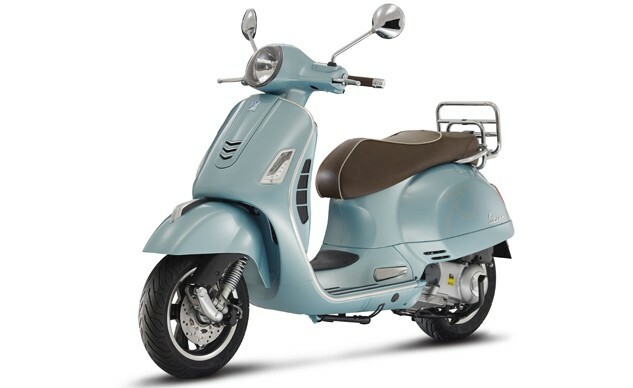 This unique paintwork include a dark brown saddle, finished with contrasting beige piping and a Vespa Settantesimo logo placed on the passenger seat. 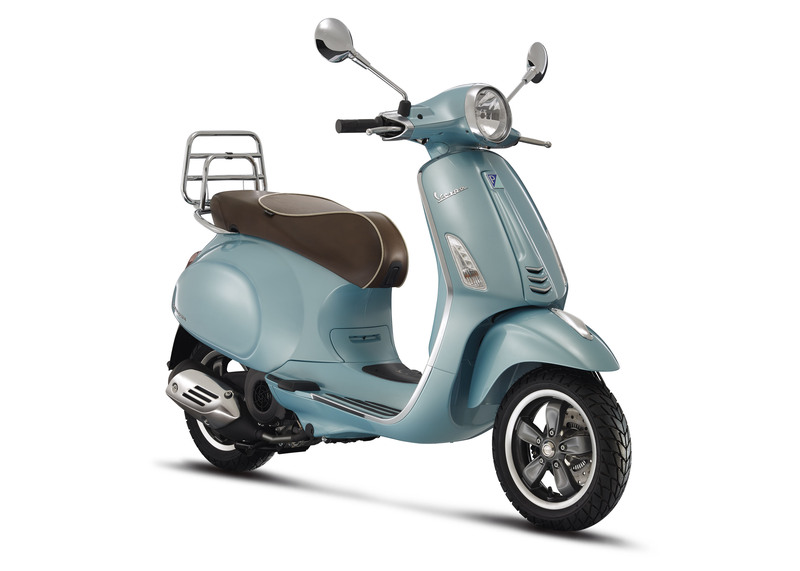 The three Settantesimo models are also characterized by a dedicated graphic on the side fairings and an identification plate on the door of the front glove compartment. 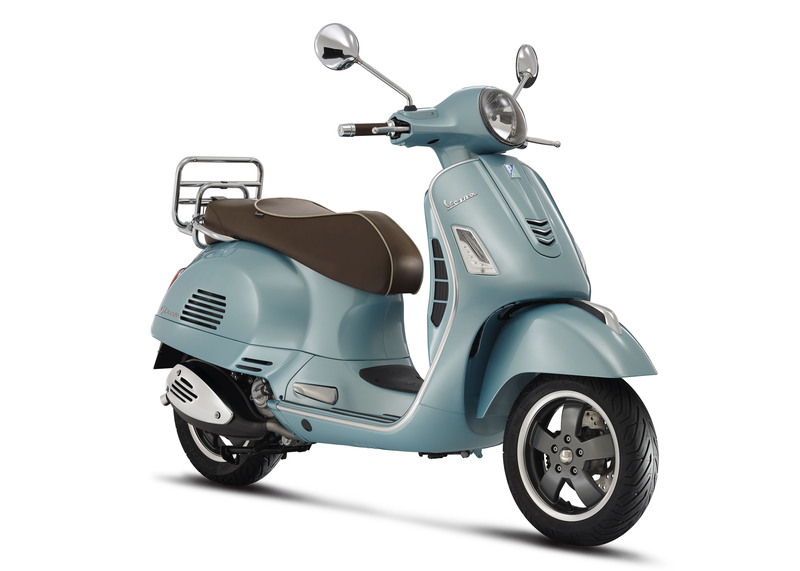 Lastly, the wheels are painted are painted in a non-standard color. 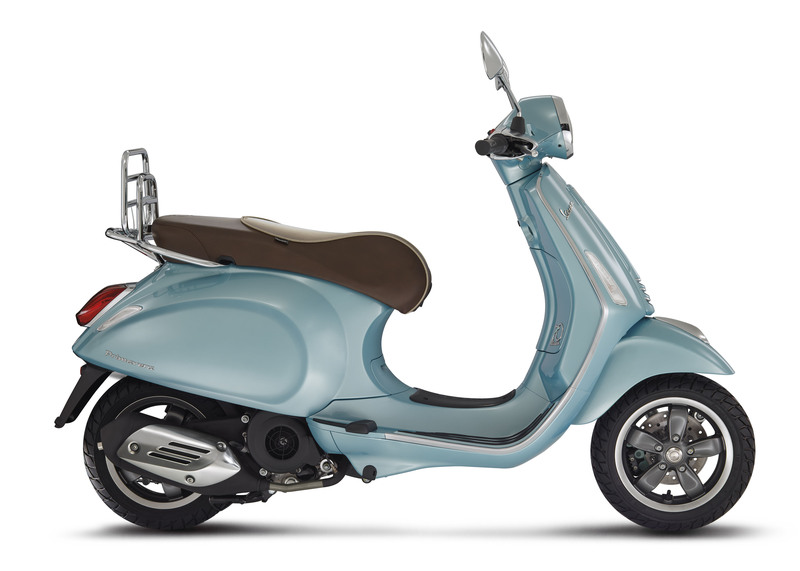 A top box bag comes standard on the Vespa Settantesimo series, and is made of the same material and color coded to match the saddle. 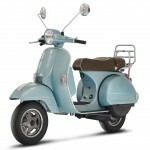 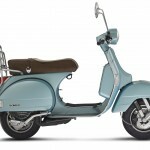 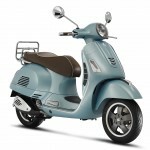 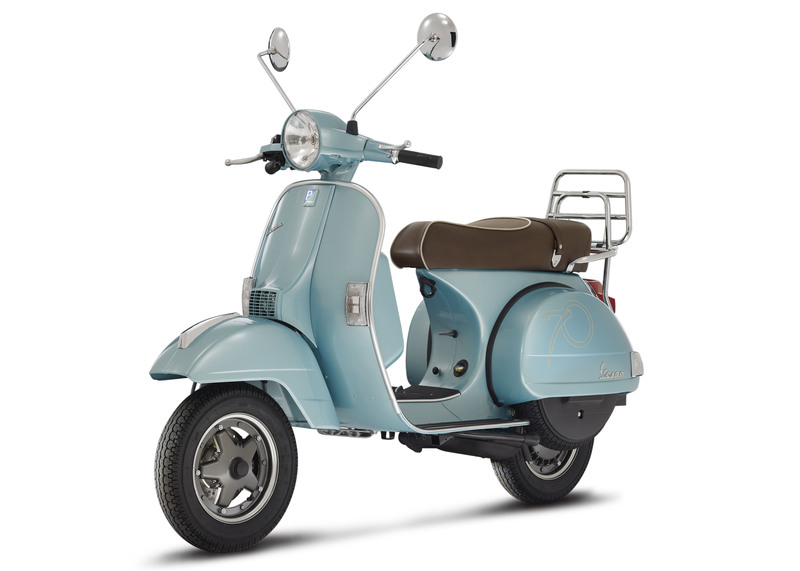 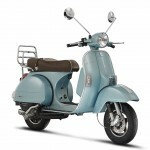 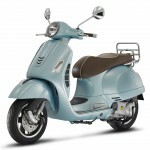 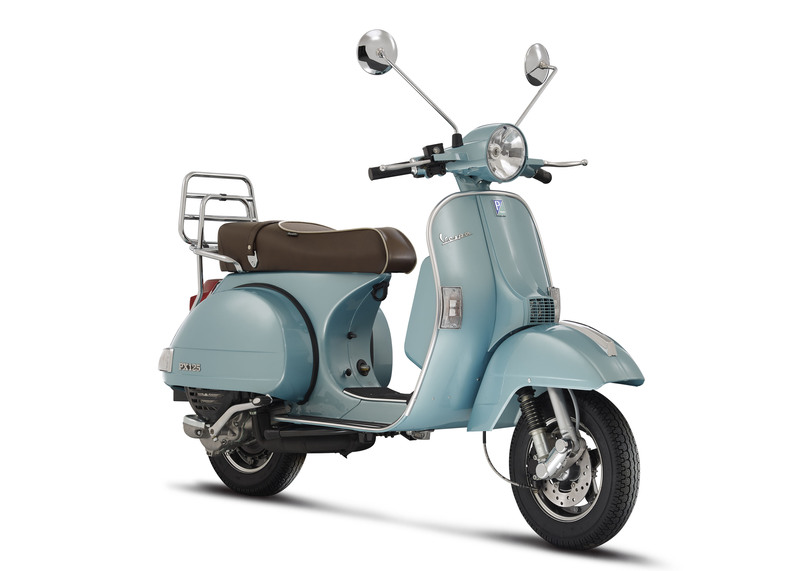 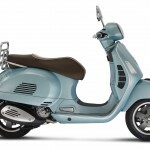 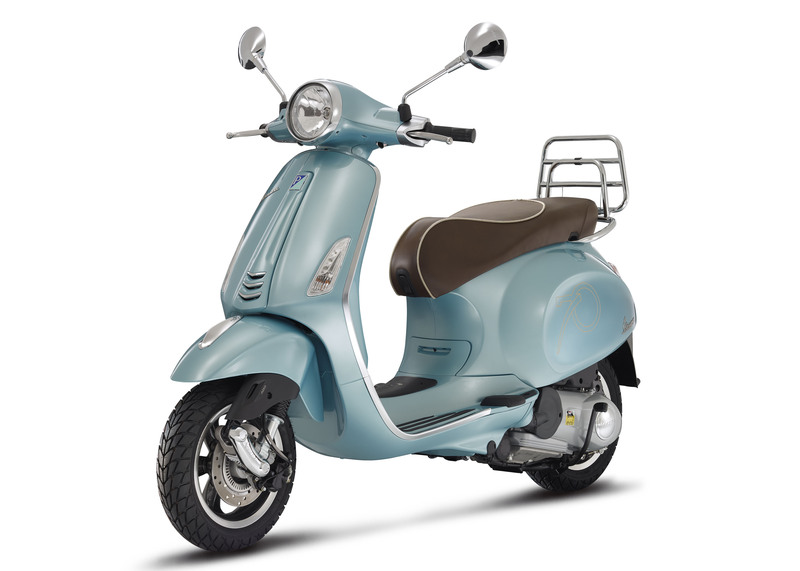 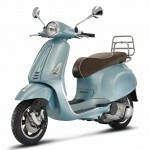 The bag can be mounted on the rear luggage rack, which is standard equipment on all models in the Vespa Settantesimo range. 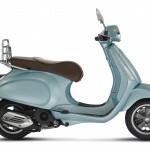 The Primavera and GTS Settantesimo will be available in the U.S. 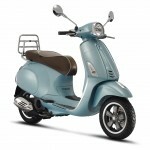 The PX however, will still not be offered in America.